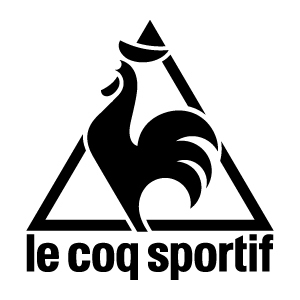 Officially founded in 1882, the French company Le Coq Sportif had started producing clothes, footwear and sport items way earlier than this date. Emile Camuset, the future founder of the brand with the famous cockerel logo, began tailoring jersey sweaters in 1929, for those friends playing play soccer, rugby and for those who cycled.Camuset was unconsciously laying the foundation of one of the reference brands of international sport. Le Coq Sportif features a peculiar and original story, plenty of little great events that step-by-step made the brand famous and valued. It's 1939 when the French brand releases the first tracksuit in history, called, from then on, Sunday suit, while 1951 sees the brand logo on Tour de France sport shirts.Nine years later the brand clothes the French National team to compete at Rome Olympics; the first black athlete to win Wimbledon is Arthur Ashe, who in 1975, playing a breath-taking final game, gets a stunning victory with his Le Coq Sportif items. Still today is famous the green Le Coq shirt that led Saint-Etienne to the amazing Champions League final in 1976, while 1981 is remembered as the rugby year, when the French team and the brand cockerels shine in the Five Nations tournament. The French brand also characterizes the beautiful Italian t-shirt when Italy wins its third World Championship in Spain, in 1982. More recently, in 2007, Le Coq releases a sneaker, signed by the Chicago Bulls center, Joakim Noah.